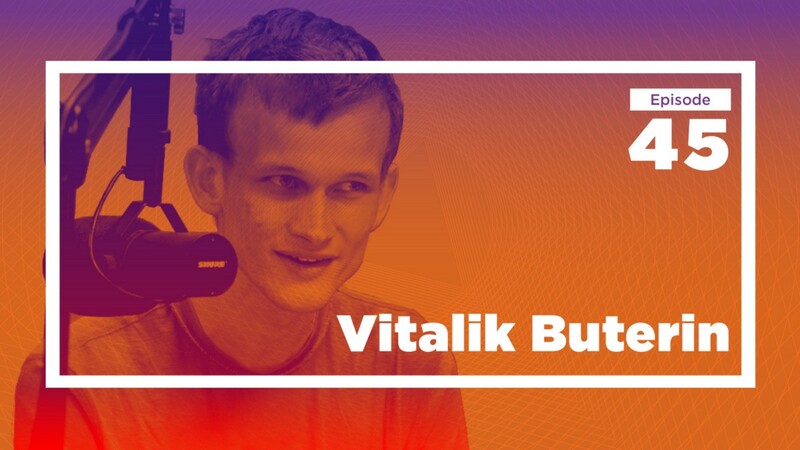 Do you have a world-changing idea like Vitalik? The Mercatus Center is launching a new fellowship and grant program called Emergent Ventures to support transformational thinkers and doers. Listen to Tyler talk about the new project on the latest Mercatus Policy Download, and click here to learn more. TYLER COWEN: Hello. 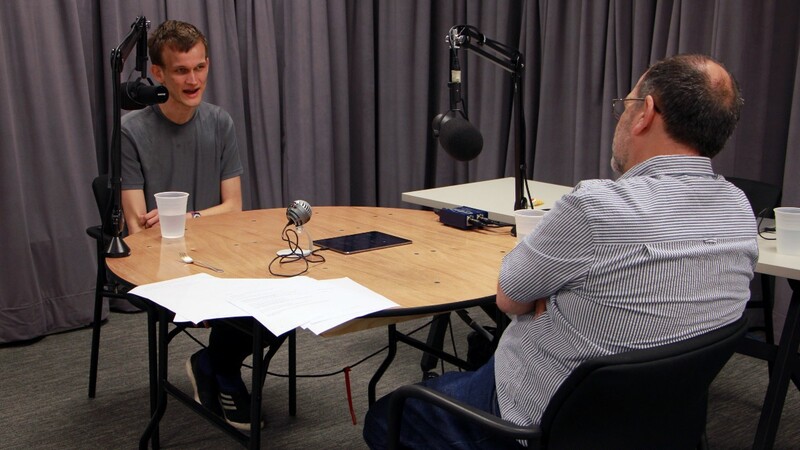 I’m here today with Vitalik Buterin, who is founder and chief scientist at Ethereum. I’d like to start with what I call the Vitalik Buterin production function — that is, how you get things done. VITALIK BUTERIN: I guess it involves a combination of things. Some of it is reading what various economists on the internet say. Some of it is reading papers. Sometimes, if I want to dig into some topic more deeply, I end up reading books, like I read one on urban transportation economics a while back. I also go to conferences. I was just at the Economics and Computation conference with Glen Weyl and other people in Ithaca last week, which I thought was very interesting. It’s always kind of an indispensable opportunity to physically go to places and actually talk to people, because that way you learn things about both what people are thinking about and how people are thinking in the space that you can’t easily find from the internet. COWEN: If you think about economics — what you’ve taught yourself — what do you think of as the central ideas relevant for cryptoeconomics, which is a term I think you coined? BUTERIN: I would say that cryptoeconomics, first of all, is economics. It’s not like we’re inventing some completely different parallel society with a different parallel economy and different rules, but it is economics specialized to a particular set of circumstances. Then you have to ask yourself, “Well, what describes those circumstances?” There are a few major parts to that answer. First of all, whatever mechanisms you have in cryptoeconomics land have to be fully specified exactly — not exactly to the standards of a court judge, but exactly to the standards of a computer programmer. What that means is that there’s a lot of things that you can’t do. For example, you can’t say in cryptoeconomics, “It’s illegal to bribe people,” because there’s really no simple way to define what a bribe is. If someone really wants to bribe someone else, he can just go and do that outside of the protocol, and the protocol would have no way to tell. Whatever your rules are for rewarding, penalizing inside of the mechanism, they have to be specified as a piece of Solidity code, Viper code, whatever programming language you’re using in that set. That’s a much tighter constraint than policymakers writing laws have. Another one is, of course, that all of the actors are anonymous, and what that means in practice is that you cannot drag people’s utility down below zero. If I have 70 ether, and I put that 70 ether into a mechanism, the worst thing you can do to me is you can take away that 70 ether. You cannot throw me in jail. You cannot socially ostracize me so I can’t earn any money again because I can always just switch identities. But to the extent that I’m willing to lock that ether up and make it vulnerable to a mechanism, then you have the ability to motivate me to that extent. Cryptoeconomics is basically taking economics with those particular constraints and then adding together insights from fields that are fairly close by to the cryptocurrency space — particularly cryptography, information theory, math, and distributed systems, including all of the research around consensus algorithms, hash functions, signatures, zero-knowledge proofs, and what we know about all of those primitives. Basically we’re trying to figure out, given these constraints and given these building blocks, what kind of systems and what kind of mechanisms can we design to achieve the properties that we want? And under what kinds of assumptions do those properties hold? COWEN: What’s the contribution or understanding you wish economics could give you that it hasn’t given you yet? What problem do you want it to solve for you? BUTERIN: I think that once you start getting into the weeds, and you try to move beyond very simple things like proof of work, the simplest versions of proof of stake, and the tricks that we’ve known about since 2009 or 2013, then you get into this situation where you realize the kinds of problems that you run into when you try to incentivize behavior. Particularly when you run into things like what I call speaker/listener fault equivalence, which is basically this idea that if the protocol requires Alice to send a message to Bob, and the protocol detects that Bob never showed a message from Alice, then the protocol knows that either it’s because Alice forgot to speak or it’s because Bob pretended not to listen. Then, under those kinds of conditions, trying to figure out what is the right way to motivate Alice and motivate Bob while preserving all sorts of different properties. These are questions that are very close to questions that game theorists, mechanism designers, people in the economics community have already had a lot of things to say about. There definitely are results from the existing fields of economics and game theory that have helped significantly in that regard. Another whole aspect is also the broader and social question of how will blockchain-based systems actually end up affecting society? What is a blockchain’s unique competitive advantage? What are things that you can do with blockchains that you can do only with more difficulty without them? Trying to go from there and zero in and try to figure out exactly what industries and what kind of applications in those industries should be going after. Do the things at the application layer that we’re trying to build even make sense? Should we modify them in some way to have them make more sense? I do think that people from the economics community have a lot to say about that. Alex Tabarrok, for example, had that very nice post on Marginal Revolution a couple of weeks back, where he talked about blockchains in terms of being an alternative to platform monopolies, and I thought that was a very good insight. I thought that the general idea that a blockchain is one of the few tools that allows you to credibly commit to not turning into a monopolistic jerk is actually a really interesting insight and one that I have arrived at myself, but it definitely helps to have it be crystallized in that way. On a blockchain, you can ultimately build anything that you can build on top of a computer. From a computer science theoretical point of view, in terms of what it provides, you can think about it as being a computer. But what it provides on top of that is these extra trust guarantees: the guarantee that the computer will run in the way that you expect it to run, and that a few people can’t make that guarantee fail by going out of business, getting hacked, dying, having their company go bankrupt, deciding to be evil one day, deciding they have some monopolistic interest to start acting differently one day, and all of those different issues. BUTERIN: I did write that blog post a couple of months back, and I think this might be one of those things that you referred to, where I talk about this, and of signaling theory, equilibrium of cryptocurrency. The answer that I came up with is that issuing a cryptocurrency by itself is costless, but issuing a cryptocurrency that people care about is not costless. The equilibrium is that there exists this club of cryptocurrencies that people recognize as having value. 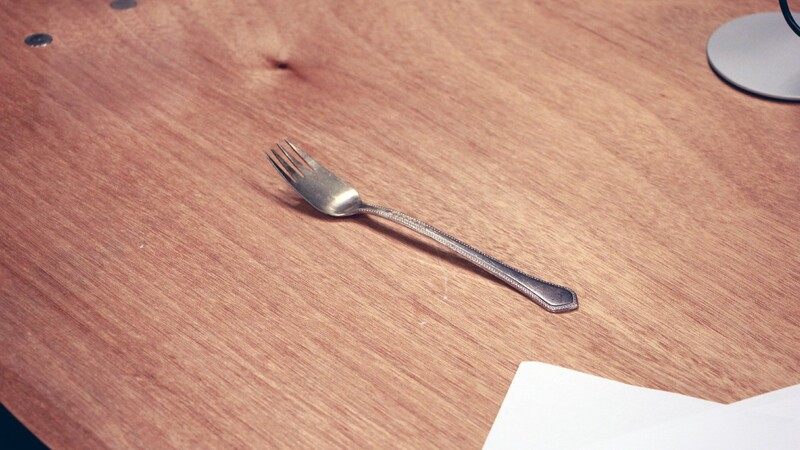 It is possible to join the club, but joining the club requires that you undertake some kind of costly signaling expenditure — in some ways burn capital, burn resources, or consume something unique — which is just difficult enough that it prevents people from doing it willy-nilly to the point where all the cryptocurrency hyperinflates. COWEN: Don’t people trust ether and Ethereum in part because they trust you? In a sense, there’s this Russian tradition of holy men who come along — Dostoyevsky’s Alyosha, Prince Myshkin — like a non-evil Rasputin. The person is innocent and has some very wise message, and people flock to that person. Are you, in a sense, the contemporary version of those figures? 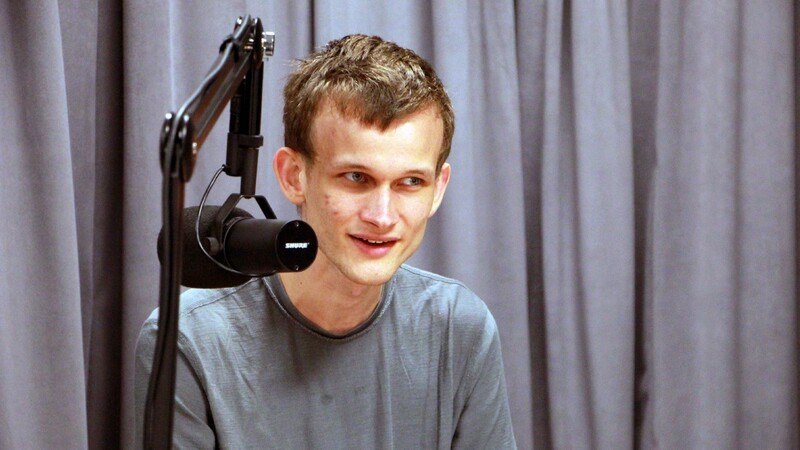 BUTERIN: I know people have different theories about the kind of influence that I myself have. I think part of it is that, at least I feel like, the innovation in the crypto space isn’t just technological innovation or political innovation. It’s also to a large degree cultural innovation, and even I, with my own behavior, I end up talking to people at different conferences, just reply to random people’s Reddit messages. I try to make myself maximally accessible in a bunch of ways, try to bring different people in different communities together, perform a kind of social coordination function, which is probably, from an economist’s point of view, similar to some aspects of management, but without the aspects of management that evoke images of centralized control in all those different things. And that’s not just myself. That’s the Ethereum community. It’s other crypto communities. I do feel like there definitely is a real sense in which the crypto community is also at the epicenter of all of these different cultural ideas of how projects should organize, what it means to be a leader, what it means to be a developer, what it means to be part of a project, what it means to be part of a team. There’s social dimensions to that. There is ideological dimensions to that. There’s dimensions of how different ideas get spread and become more popular. I definitely do agree that that aspect of things is one that’s very important and probably not talked about enough. COWEN: If we think of Thomas Schelling’s notion of a focal point, something that people coordinate upon and come to accept as somehow centrally important, doesn’t that mean centralization always reemerges? You look at something like Twitter. We’re both on Twitter. I don’t think Twitter is dominant in its sphere because its AI is so good. It’s just people know the name, and people are used to going to Twitter. Will the crypto space end up as centralized as Twitter, Google, and Facebook? BUTERIN: I wrote this blog post a couple of years ago where I talk about different kinds of decentralization. One I talk about is architectural decentralization, which is basically the difference between a system being based on one computer and, say, a system being based on lots of computers and being fault tolerant. Lots of things are architecturally decentralized already, like large parts of Amazon AWS, and lots of military hardware, traditional airplanes. Lots of things have aspects of architectural decentralization. Another one is political decentralization, which is the thing . . . And blockchains are trying to achieve the architectural side of decentralization — it’s not run on one piece of hardware. In political decentralization, it’s not run by one single person or small cabal of people at the same time. The third kind of decentralization I talk about, though, is logical centralization versus decentralization. One example I gave in my post is the English language. The English language is architecturally decentralized because there’s no one single dictionary. It’s politically decentralized: there’s no one who really has the ability to practically regulate new words into and out of existence. But it is logically centralized in the sense of there is one thing, which is the English language, and if you start deviating from that one thing, then you’re going to have a harder time. The conclusion of my post, or at least part of it, is that I do think that blockchains are logically centralized, basically because there is one blockchain. It is a shared ledger. It is a canonical history. You’re either part of it or you’re not. I argue that this logical centralization is actually good. COWEN: If you’re looking to hire someone — either for Ethereum or to collaborate with — what quality or qualities do you look for that maybe other people underrate? Because you’ve also built a successful company, right? You’re not just chief scientist. BUTERIN: No. Company is not necessarily the right emphasis, once again. It goes back to my point about cultural innovation. Ultimately, there are different circles in the Ethereum community, some overlapping, some not, and there’s different ideas of what it means to be Ethereum. But they are also this cultural evolution that itself incorporates many aspects of decentralization in terms of how they’re produced and in terms of a way of living and collaborating and building things. COWEN: While building Ethereum, you’ve also taught yourself French, German, and Chinese without having lived in those countries. On YouTube, I’ve even seen you answering questions in Chinese about the blockchain to a Chinese audience. How did you teach yourself such good Chinese? BUTERIN: First of all, as I said on Reddit, I definitely did not learn Chinese, and especially not Cantonese, in three months on a mobile app. That’s stuff that people come up with about me. I don’t like it because it makes me look more like Kim Il-sung, and it doesn’t make me look like a real person. [laughs] I’m not saying Kim Il-sung is not a real person, but Kim Il-sung the demigod definitely isn’t. So I started going through podcasts initially, and once I went through those, then I went through some other Learn Chinese podcasts. And parallel to that, I also started going through flash-card apps that taught me the most popular — maybe 500–1,000 — characters and words. Once you get to an intermediate level, you’re high enough that you can participate in WeChat conversations, go to China, and participate in conversations in person. I was never a long-term resident of China, but realistically, I did spend more than half a year there in total in my life. Once you get to that intermediate level, as long as you put yourself in environments where you continue keeping it up, eventually it continues getting better and better, and eventually you get to the point where you can improve it further by watching movies on airplanes. COWEN: My colleague Robin Hanson has promoted the idea of prediction markets, or betting on ideas. Why are there, right now, so few prediction markets? You can bet on the outcome of an election. There’s plenty of sports betting, but they seem quite thin when it comes to actual economic events. BUTERIN: I know that on the centralized side, the traditional prediction market side, there’s a lot of regulatory issues that make it more difficult to set one up. Also, on top of that, I think part of what makes cryptocurrency so attractive is that traditional financial systems have a lot of inefficiencies and annoyingness that go beyond the strictly regulatory. Even something like, “Oh, I have money. How do I move it into some particular application?” Very often it involves bank wires. It involves all of these various systems which each individual person may or may not have. You have to figure it out, and there’s a lot of friction involved. I see cryptocurrency in part as this grand experiment of, what happens if you create a financial system that really is fully frictionless, where moving bitcoin or ether from your wallet into an application, into a smart contract or whatever, really is as simple as logging into a website or clicking an email. I do think that, even already, the cryptocurrency ecosystem has, first of all, managed to get people to accept micropayments — specifically paying for transaction fees — when a lot of people thought that that’s impossible. I do have hopes that the higher levels of liquidity and efficiency in the cryptocurrency space could make cryptocurrency prediction markets succeed more. That’s one aspect. Another aspect is that, even if the cryptocurrency base solutions actually manage to be censorship resistant, and if they manage to be more convenient, then there is the possibility that this kind of gambling, betting, or whatever is a kind of betting that people aren’t as interested in. Basically, the amateurs don’t find it interesting enough, and there’s not enough people playing for it to be worth for the professionals to really participate. That is possible, though I don’t really think it’s fair to say that prediction markets as a category can be really called a failed experiment yet, given that there have only been a few years of trying to make them work and only a couple of different approaches. But if Augur and Gnosis and all of these other Ethereum and blockchain-based prediction markets end up launching, and it continues to be the case that lots of people don’t end up using them, then it’s probably more reasonable to consider that idea as, at least, a failure in its dream of growing beyond the niche, but I don’t think we’re quite there yet. COWEN: As for frictionless trading, let’s take what’s called the Oracle problem. As you well know, you can have smart contracts on Ethereum, but those are closest to frictionless when everything is within the system. But if you have an external event — a property title — and you need someone in the physical, real world to rule how an actual piece of property is assigned to someone and how that information is then translated into cyberspace, does the Oracle problem mean that the frictionless trading of, say, Ethereum, is never actually that scalable, or is there some way around it that we don’t yet see? BUTERIN: It depends what specific thing you’re trying to do frictionlessly. For example, moving ether from one account to another is absolutely frictionless. Converting ether into fiat currency is absolutely not frictionless. It is very possible that it’s not going to significantly get more frictionless in the near- and medium-term future because of all of the banking issues, where cryptocurrency exchanges have a hard time getting and maintaining bank accounts. If you’re talking about participating in some kind of pure financial derivative system, then I think it will be frictionless. COWEN: But determining how or why someone should be paid, someone has to rule that, right? BUTERIN: Here’s one example. There’s a system called MakerDAO, which is basically a decentralized currency that has a more active monetary policy that attempts to keep its price as close as possible to one dollar. This clearly requires a price feed, and the MakerDAO definitely includes a decentralized price feed mechanism. It definitely is the case that there is some overhead in maintaining that Oracle inside of the MakerDAO system, but at the same time, just using MakerDAO is completely frictionless. If I have ether, I can convert it into DAI very quickly. I can open up collateralized debt positions. I can do all the different things inside of the MakerDAO system, all from inside of one wallet. Especially in those cases where the data is data which is fairly publicly accessible and fairly easy to get at and fairly easy to verify, at least as a person, I don’t think that those issues are going to be that large. Once you get into issues like, oh, me and you are going to enter into a smart contract where it’s like fire insurance, where if your house burns down, then I have to pay you some amount to cover the cost, and if nothing happens, you pay me $500 . . .
That suddenly becomes a lot harder because then the cost of getting the information actually is very high, and it’s very specific to one transaction. I don’t really expect smart contracts by themselves to solve the problem. What could happen, of course, is you could try to come up with mechanisms that build in who the arbitrators are. So you could imagine some system where, say, you have a village, and people in the village all put some amount of money into a smart contract. If people vote and agree that one particular person is in need of cash, then they vote, and he gets the cash. That sort of thing is potentially completely doable, and I do hope to see it. I know we are starting to see people trying to design applications like that, but it’s definitely not the same thing as some magic Oracle that absolutely knows everything. COWEN: As Ethereum and perhaps other groups move from proof of work to proof of stake or some kind of intermediate weighted average solution, to what extent will this require more institutional trust in Ethereum or the other intermediaries, and will that be centralizing? BUTERIN: I would actually expect that, on net, it would require less institutional trust. Part of this is just because a lot of people don’t realize the sheer level of centralization in proof of work already. In Bitcoin, there is one person, Jihan Wu, who controls the largest two mining pools in bitcoin that add out to 42 percent of the network. And 42 percent isn’t enough to do a 51 percent attack, but it is enough to do selfish mining, which is enough to reduce other people’s profits to the point where they drop out, and you can do a 51 percent attack. Granted, these are pools, but a very large portion of that 42 percent, I believe, actually is his own hardware. I think, because we’re used to it, people do underestimate the oligopoly and the rich-get-richer and the trust that’s necessary inside of proof-of-work systems already. For example, bitcoin users already trust Jihan Wu and Wang Chun to not team up and start doing 51 percent attacks pretty much every day. They seem to be nice enough or at least rationally self-interested enough not to do that, but that’s definitely still institutional trust. COWEN: What’s the biggest tech or engineering breakthrough you feel you need to realize the full vision that you started with? BUTERIN: I think scalability is a huge one. Ethereum blockchain’s capacity right now is about 15 transactions a second. If you even consider something like putting all of the Uber rides on the blockchain, that’s 12 transactions per second already. Another big one is user experience, both user experience in terms of using the blockchain, not being as clunky as it is today, but also user experience of security. How easy is it to set up a wallet that does not allow all of your money to get stolen overnight or lost overnight if your key gets lost or stolen? Those are challenges that I do think we need a lot more innovation in, and I think we will see innovation over the next few years. COWEN: What change in the legal or regulatory environment would help the most to realize this vision? BUTERIN: I don’t really think that there are many legal or regulatory changes that can help, at least on the technological development side, because ultimately the US already has all of these code-is-free-speech precedents, and most other countries, even those without significant free speech protections, are still willing to follow along in principle. In that case, it depends on what kind of adoption of what application you’re looking for. I feel like a lot of the drive toward regulatory friendliness so far has been on the cryptocurrency exchange side, but cryptocurrency is really only one of the things you can do. Trying to make it easier for very large piles of money to move into the cryptocurrency space is I don’t necessarily think the thing that the cryptocurrency space needs most at this point. Honestly, especially when you hear things about CEOs of exchanges trying to move into Africa, where the levels of financial literacy are very low, and there’s all sorts of Ponzi schemes already, and institutional investors, pension funds, and so forth trying to get into cryptocurrency. There’s definitely reasons to believe that stuff can be actively counterproductive, so I think for other kinds of applications, it’s a very application-specific question. For example, if you look at ICOs, I’ve come up with DAICOs, and you can also talk about airdrops and decentralized product launches and all of these ideas which are innovations in fundraising, then that basically requires a regulatory environment which is open to experimentation. That’s something that I do think that places in Asia tend to be fairly ahead of the curve on, in terms of sandboxes in Singapore. I know Hong Kong and Taiwan are looking into sandboxes as well, whereas it doesn’t seem like the US has quite that kind of approach, at least at this point in time. It’s possible the political environment is just kind of not organized enough to maintain it, and there’s bigger priorities to worry about at this point. COWEN: What’s the best theory out there for valuing a given crypto asset? It doesn’t have to be ether. If there’s a new crypto asset that comes along — let’s say it’s cleared some minimum threshold of interest — what theoretical apparatus from economics or elsewhere should we apply? BUTERIN: I’ve thought about this a lot, and I’m still not sure what the best answer is because ultimately it depends a lot on the way the cryptocurrency goes. For example, Ethereum’s transaction fees tend to be about $500,000 a day recently, which is about $180 million a year. If you tried to value the ether market cap as some kind of corporation, then the “P/E ratio” is only somewhere in the low 200s, which is high for a company, but not off-the-charts absurdly high. I guess my practical answer is I don’t really know, and if you’re looking to design a cryptocurrency that’s sustainable, then I definitely think it’s important to have a story for why it would maintain its value under a variety of different economic models. COWEN: What do you think of the portfolio competition with gold theory? If you measure the total stock of gold out there, and then you conclude — don’t ask me how — “Well, people will want to shift 5 percent of that into crypto assets.” And you figure out the value of that. You then get an aggregate figure, not for any particular asset, but for crypto as a whole. Does that make sense to you, or do you think that’s a long-term fallacy? 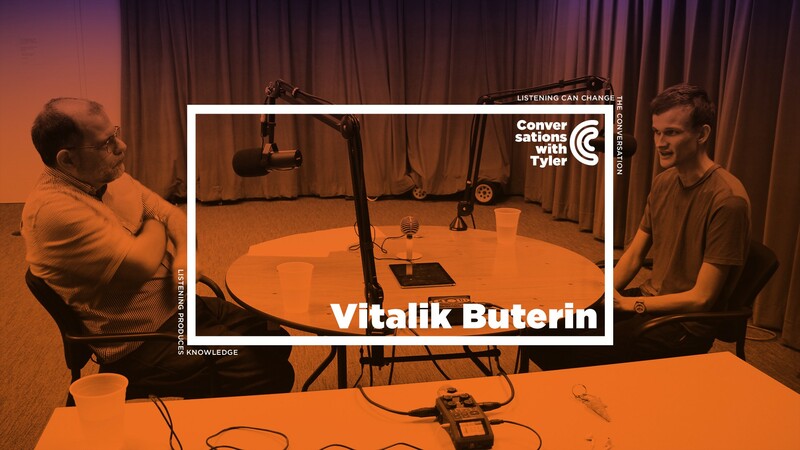 BUTERIN: No, that’s definitely something that I’ve considered as well, and that’s part of what I mean when I talk about the store-of-value model. I think, even if cryptocurrencies by themselves do nothing, if there was an established equilibrium where they roughly grow at the same or similar rate as other things, as long as they grow in a way that’s at least somewhat uncorrelated from other things, then it makes sense from a pure portfolio theory to have some of your money in them. I definitely fully agree with that position. As you said, I reinvented it myself. COWEN: In most of these sessions, we have a segment in the middle called overrated versus underrated. Are you game for doing this? Feel free to pass. COWEN: Advertising, overrated or underrated? BUTERIN: I’m going to guess my answer to a lot of these is going to be roughly correctionally rated, but in a different way from how other people expect. For example, I think advertising in terms of traditional advertising — definitely overrated. But advertising in terms of the broader category of trying to influence how people in the public think in order to benefit your product, I think we’re going to see lots of innovation in both good and bad over the next couple of decades. I think advertising in terms of traditional advertising — definitely overrated. But advertising in terms of the broader category of trying to influence how people in the public think in order to benefit your product, I think we’re going to see lots of innovation in both good and bad over the next couple of decades. COWEN: Travel as a method of learning? BUTERIN: Definitely I would say still underrated. COWEN: What’s the thing one gets from travel that a lot of other people don’t grasp? BUTERIN: First of all, it depends what kind of travel. I think going to Beijing and seeing the Summer Palace, and then going to Tokyo and seeing some shrine and whatever, is basically useless because you don’t really get more than you would get by going to Wikipedia. But I think the kind of traveling that is valuable is the kind where it’s not even set up as explicit travel for the sake of travel. You’re traveling there in order to do something, and in the course of doing that, you end up interacting with people. You end up seeing what the different aspects of the culture look like. You end up seeing how people think, how people interact with each other. Is there something that they’re doing that’s better than what you’re used to? Are there things they’re doing that you can really say are worse than what you’re used to? I personally definitely learned a lot of that from, say, going to China, and Asia in general, that I would not have learned by just reading about those places from the internet and the various mainstream ideological blab houses that talk about those places all day long. COWEN: What’s your favorite part of China to visit? BUTERIN: As far as cities go, I like Shanghai. I have mixed feelings about Shenzhen. There’s definitely innovativeness, but then there’s definitely also all of this “Let’s make 500 shopping malls” culture. COWEN: To me, it’s boring — Shenzhen. I prefer almost anywhere else in China. BUTERIN: Right, right. Let’s see. Beijing is kind of growing more on me over time, I guess. It’s obviously on the periphery of China, but Hong Kong is interesting to me all in its own right, as well. COWEN: How about Zug, Switzerland? Forget about crypto, just as a city, underrated or overrated? BUTERIN: It depends for what purpose. For example, I used to spend a lot of time in Zug, but now I spend much less time. Part of that is that I do think it’s overrated as a place to live. There is this broader subculture of people trying to make libertarian tax havens of different levels of extremeness. I think one of the problems of libertarian tax havens and libertarian havens in general, both online and offline, is that they attract both people who like freedom and rich people who are not particularly interesting. In Zug, you have a very small number of people. It’s relatively difficult to get to. A lot of people in the finance industry. It just doesn’t have the sort of things that attract me about cities that would make me want to live there. On top of that, you have to pay five and a half dollars to buy anything in Starbucks. Even places like . . . There’s people trying to make a kind of crypto valley in Puerto Rico, and I’m starting to worry it’s running into that kind of effect, as well. In terms of places to set up a crypto project, I think it could be totally legit. COWEN: The Disney Star Wars movies? BUTERIN: The most recent one, Episode VIII, is underrated. I would say the thing that I liked about Episode VIII is that it seems to have a certain kind of realism that was lacking in some of the previous ones. What I mean by that is that it’s not just glorious rebels versus the evil Empire First Order, whatever. First of all, for most of the movie, the rebels are losing, and that’s how conflicts work in real life. Second of all, it shows the enemy as something that’s a bit richer and even having its own internal conflicts, not like some evil Borg where every member of the evil Borg agrees that they’re the evil Borg, and they need to fight for the collective good of the evil Borg. I feel like one of the ways in which all of these modern epic myths misled me when I was much younger is, they do make it look like the world is a bunch of good guys fighting against the evil orcs, Sauron, the Empire, whatever. I’d be more interested in seeing social science fiction, [laughs] science fiction or fantasy or whatever, that explores also all of these complex ideas about how people can interact and how political systems can work, how economic systems can work, how they can fail. Particularly, how they can fail in ways that create interesting stories without anyone being literally Hitler. I’d be more interested in seeing social science fiction…that explores all of these complex ideas about how people can interact and how political systems can work, how economic systems can work, how they can fail. Particularly, how they can fail in ways that create interesting stories without anyone being literally Hitler. BUTERIN: Yeah, totally. Let’s see. Possibly first year of World War II — obviously, one of those areas that’s close to it but still reasonably safe from it. Possibly some time in some period of political upheaval, revolution, whatever, like in the time before this — not quite stagnation, but great moderation of pretty much everything. Basically, experience more of what human behavior and what collective human behavior would look like once you pushed humans further into extremes, and people aren’t as comfortable as they are today. COWEN: What kind of social delusion or irrationality do you think should be more prevalent? BUTERIN: That’s a very interesting one. In modern times, possibly a belief in progress. COWEN: You think more people should believe in that, even though it may not be true? BUTERIN: Even though it’s true in a complicated way. It’s true sometimes in complicated ways, and parts of it are definitely false in a bunch of situations. COWEN: Is there a word in Russian you use when you think or talk that has no obvious English equivalent? BUTERIN: I don’t think so. COWEN: So you pretty much think mainly in English at this point? BUTERIN: I’d say so, yeah. COWEN: The geography of tech innovation. So many things are crowded into San Francisco, Silicon Valley. Rents are very high. Crypto has not really been the same, but what do you think the geography of tech innovation will look like 20 or 30 years from now? As I’ve been led to understand, one of the latest attempts to make sure more actual supply of living space can get built in California recently got shut down. If rents continue being too damn high, then it’s a matter of basic economics and math that the majority of developers are going to live in places other than the big centers. I think as technology in terms of ability to communicate remotely improves, it seems to only make more sense that the premium from being inside of a center is going to reduce to some extent over time. So I would definitely say that more geographically distributed, at least in those kinds of industries that aren’t physically capital intensive and that are more sort of lone wolf–friendly, is going to happen, even in the crypto space, which is very lone wolf–friendly, I think. It’s extremely geographically distributed already. There’s another question of, how do you measure technological innovation? Because there’s a lot of metrics under which the US is really great, China’s really great, but Europe is completely not even on the charts. Those metrics tend to be fairly big money–oriented. If you look at broader innovation, people doing interesting stuff, plenty of things happen in Europe, as well. COWEN: And you’re from Europe. BUTERIN: Yes, Russia, the eastern edge of Europe, sure. COWEN: How will quantum computing matter, if at all, for crypto assets? BUTERIN: Oh, it absolutely matters because quantum computing will make a lot of cryptography that’s used in modern times just not work any more. Digital signature algorithms won’t work any more. Public key encryption won’t work any more. Zero-knowledge proof SNARKs won’t work any more. The good news is that for everything that doesn’t work any more, people have already come up with replacements for them over a decade ago. You have hash-based signatures, you have STARKs for zero-knowledge proofs, you have fancy elliptic curve isogeny-based public key encryption. So I think it will force a transition, but ultimately, we do know how to adapt. The cryptocurrencies that will suffer the most are just the ones whose governance is the most stalled and dysfunctional and won’t be able to figure anything out in time. COWEN: Is P equal to NP? BUTERIN: I would bet 90 percent, no. COWEN: That’s my guess as well. Is backward time travel possible? And if so, is that also a problem of computation? If someone goes back in time, and they see Hamlet, and they capture Hamlet . . . ? BUTERIN: I definitely don’t believe in the theory that says you can go back in time but somehow the forces of fate ensure that whatever you cause to happen ends up turning into whatever is the modern world. That just seems computation theoretically incredibly implausible. It would require some kind of conscious god that keeps on pushing the consequences of people’s actions so that they end up not having an effect. What that means is that if you do travel back in time, what you’re really doing is you’re traveling diagonally back in time into a different universe. Is that possible? I don’t know. If you put a gun to my head and forced me to give a binary answer, I’d say no, but the answer could totally be yes. COWEN: The fees of the financial sector seem stuck at around 2 percent of GDP for a remarkably long period of time. And this is across an era where many other costs, even in percentage terms, have come down. Why do you think there’s this stickiness with financial fees, and where’s the first place where those fees will start to give in your vision of the future? BUTERIN: It could be that these are constants that have to do with rent extraction rather than with any particular features of the technology. For example, when I was at this economics and computation conference in Ithaca, there was this presentation on high-frequency trading. One of the things that was mentioned in this presentation is that how — even though between the year 2000 and now, the rate at which disequilibria between different markets and between different assets that should have the same price kind of snap back into position — even though that time has decreased from something like 1 second to something like 50 milliseconds, the rate of profit that these HFT firms have been making has stayed pretty much constant. He came up with this economic model that said if you look at how a market works, and you come up with a model that says it’s not actually about the absolute speed of the market. It’s about whether or not the arms race between trying to cancel orders as they become irrelevant, and trying to snap up other people’s orders that are now mispriced. You get this result that the rate of rent extraction, the rate of profit, the rate of social loss totally does not depend on the actual absolute levels of technology and absolute levels of speed. I think if there is some dimension to finance which is some kind of zero-sum conflict, then that seems very plausible. Another thing that I might want to look at is percentages of expenditure that’s military expenditure over thousands of years. I know that 2 to 4 percent global is definitely low compared to historical norms, but it seems to be very possible that there’s some constant amount that at least humanity has been hanging around between 3000 BC and 1945. COWEN: Why are there bid-ask spreads at all, and is it possible to get rid of them without putting them somewhere else, such as into mining costs? BUTERIN: Ultimately, bid-ask spreads have to exist, and for a couple of reasons. One of them is that offering a zero-fee market maker is itself a costly activity because if you do the equations, you get this result that you’re — instead of earning the average of the earnings of two assets, you’re earning the geometric mean of those two assets, which is lower than the arithmetic mean, and so you lose a bit of money. Another one is this kind of adverse selection argument that says if someone is trying to trade against me . . . rather, if someone is willing to take my offer, then that by itself is evidence that my offer could be mispriced. Because of that, people are not going to be inclined at pushing bid offers too close to other people’s asks. So I think it’s a combination of inefficiencies, some of which are technological, some of which are fundamental. COWEN: By the way, if we’re asking, “What could economics teach us that would help us more?” I would think a better theory of bid-ask spreads is one of the big gaps. COWEN: Because even sunshine trading, where you would think the information asymmetry would be away, there’s still a bid-ask spread. It may be lower, but not as much lower as you might have thought. Final question: what’s the most fundamental reason why there seems to be a cost disease in, say, healthcare and education? Is this also rent extraction, or is it something fundamental about teaching humans and fixing them up? BUTERIN: I can’t say I’m an expert on cost disease topics, though if I had to blab from my knowledge of economics and personal experience, both with North America and places like Asia that have less of them — first of all, it definitely is the case that places that seem to not have cost disease have more of a “just get things done” culture. Whereas places that do seem to have more of this culture of “oh, you need five kinds of approvals” — and I don’t even mean just regulatory. It could even be intra-institutional conformism of some kind. It could also be because, if you want to get things done cheaply, then you have to get in people’s way. And getting in people’s way is more difficult in more established societies where people have more expectations about things. It’s a fancy way of the equivalent of “Building a subway is cheaper if you can bulldoze a bunch of people,” but that applied to many more contexts and in much more abstract ways as well. Another one is probably like Robin Hanson’s argument that wealthier societies tend to do more signaling expenditure. A lot of the higher costs may have to do with increasing comfort and enjoyment, even though people aren’t willing to admit that that’s what they’re optimizing for. When you think of universities having impressive campuses instead of being based in piles of cheap real estate scattered across downtown, I think that’s part of why that happens. Then another thing is that there are cases where higher efficiencies are only possible because of economies of scale that just aren’t there in some contexts. In the case of land transportation infrastructure particularly, you go to Asia. China, Taiwan, Korea, Japan, all have very impressive fast trains. Cost disease is part of it. Also, I think part of it is that, especially in lower-population-density environments, there are going to be contexts where more decentralized solutions — and in this case, I mean decentralized even as in uberPOOL — actually do end up making more sense. COWEN: Vitalik, it’s been a pleasure. Thank you very much.